Degree requirements at Dartmouth can sometimes be a pain. Students must fulfill 10 distributives, fulfill a language requirement, pass an English class, First-Year Seminar and three courses that satisfy World Culture Requirements, complete physical education courses, and pass a swim test. If coming to Dartmouth has taught me anything, it’s that people can quickly change gears to achieve a goal. Andrew visits the Dartmouth Observatory to participate in the astronomy department's public viewing. Andrew Sosanya '20 explores the identity of athletes at the College. For your entertainment, a Mad Lib from Andrew Sosanya '20. 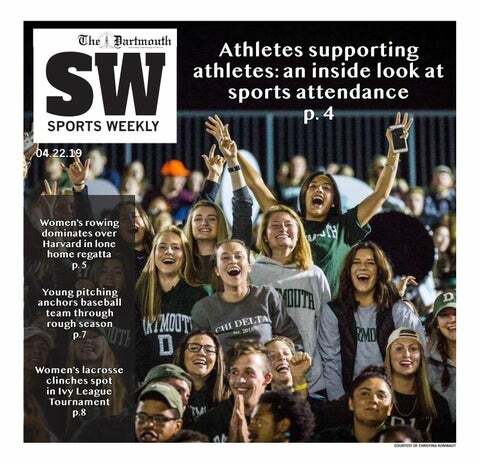 On Jan. 29, 2015, College President Phil Hanlon presented the “Moving Dartmouth Forward” initiative, his plan that implemented policy changes on campus. Everyone has gone through a rite of passage in their life, whether it be graduating high school, getting their first driver’s license or even just having their first kiss. When Week 7 has got you down, what do you do? Some wrap themselves in blankets and binge-watch the next season of “Grey’s Anatomy,” and others head out to the nearest party down frat row.